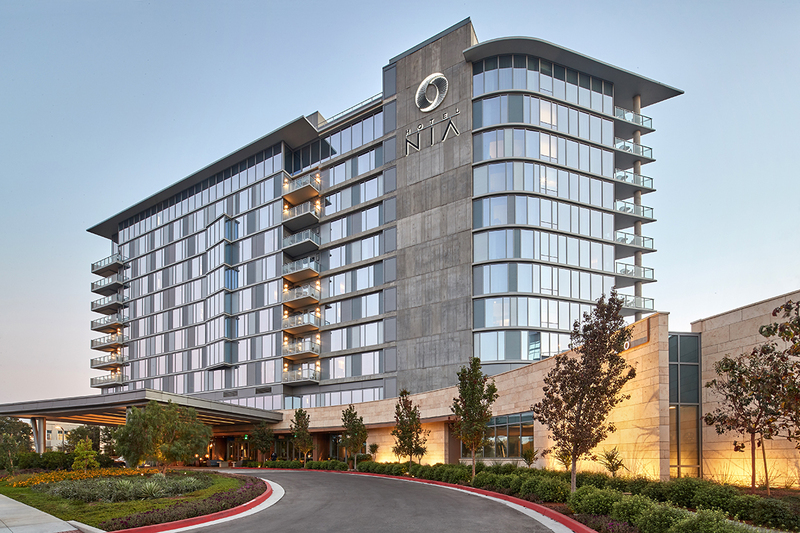 The 250-room eclectic, colorful hotel in the heart of Silicon Valley is a warm and inviting respite for business travelers. Set on 3.5 acres, it is made up of several mini-destinations defined by flowering trees and shrubs that create natural barriers. The dramatic entry drive supports the “local” feel with large massings of flowering shrubs and sequoias and rich-colored cobblestone walkways. 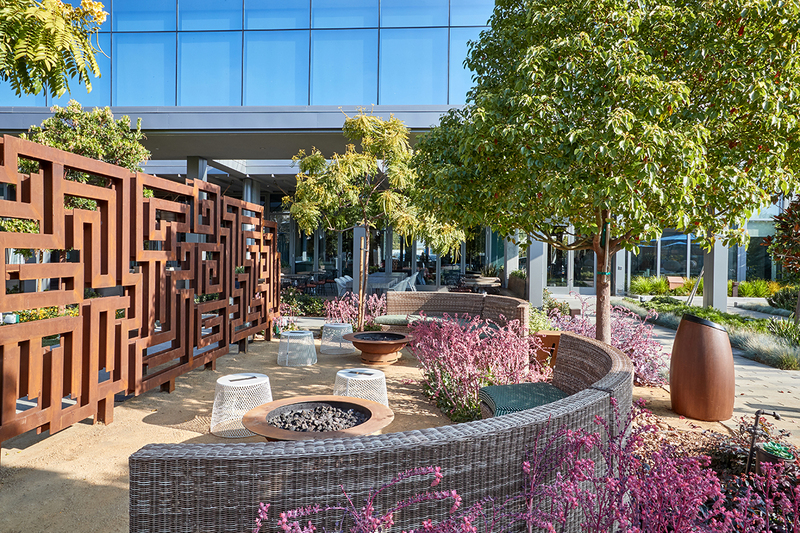 Once inside the perimeters of the resort, meandering paths of distinctive pavers connect the various areas and lead to a central courtyard, event zone and bar area. 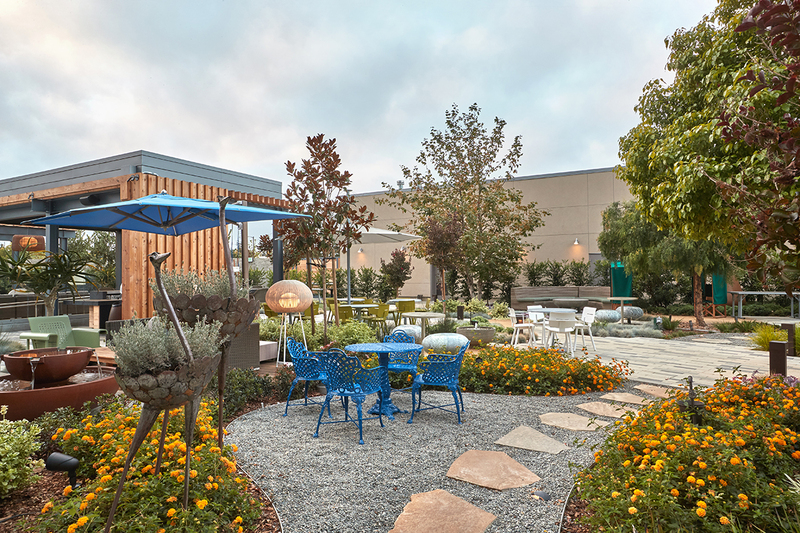 We used plant materials that captured the Northern California feel, and were adaptable to the region’s climate; Los Alto Sequoias, Holly Oaks and oversized mature Sycamores are all around the property and create beautiful garden canopies. 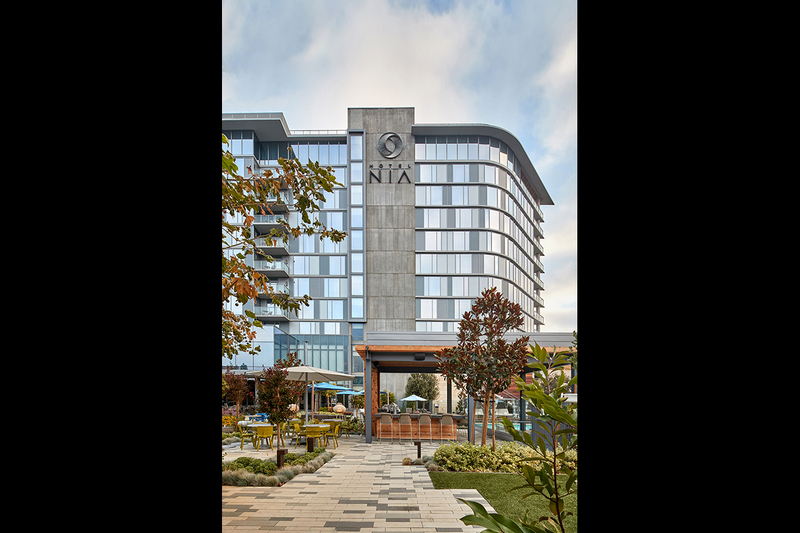 The intent of the landscaping was to blur the lines between indoor and outdoor spaces, delivering a warm and inviting environment guests crave. 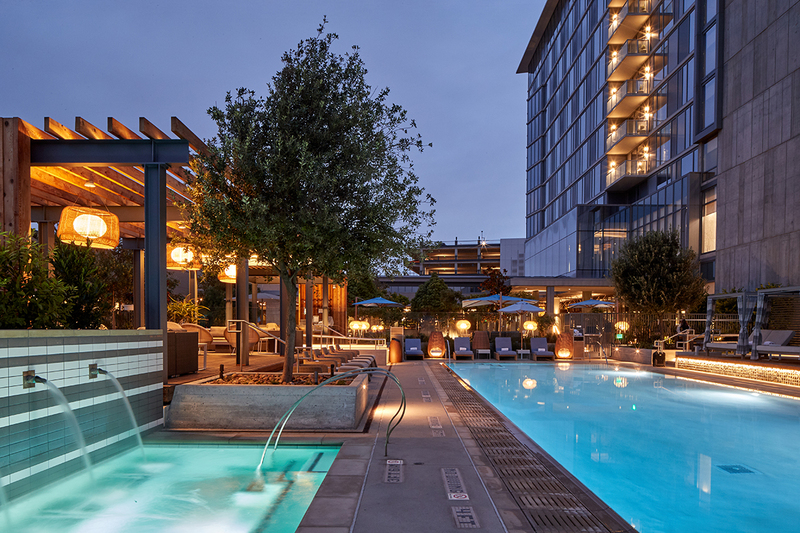 The activated pool area is lined with a tapestry of colorful shrubs, flowering accent trees, and large oak trees for shade. It features an oversized spa and waterfall feature. 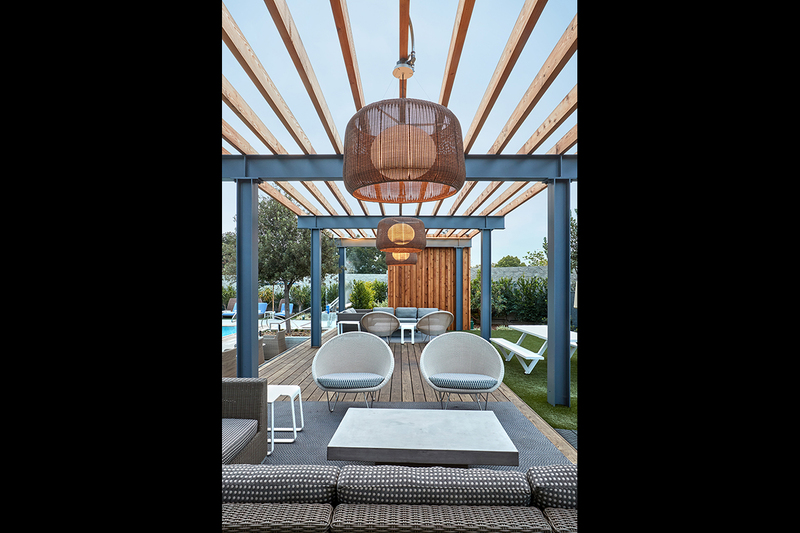 All of these inviting elements combine to create an atmosphere that is perfect for groups to congregate, socialize, work outdoors, or host events around the pool.